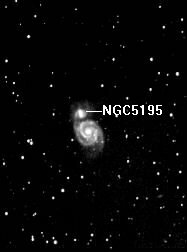 Observation of object: M51 with its companion galazy NGC 5195 to the north. 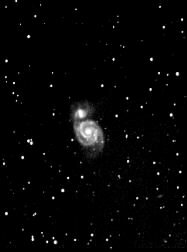 M51 has two spiral arms from the center and it has very distinct dark dust lanes. Notes: CB245 camera dew with water all over it. There may be water marks on the camera window on some of the images.